Jessie Naomi Stevens, age 86 of Grand Haven, passed away Friday, October 19, 2018. Jessie was born November 3, 1931 to Lawrence and Jessie (Dilenback) Cleveringa in Grand Haven. She graduated from Grand Haven High School and married Harold Stevens on January 9, 1954 in Spring Lake. He preceded her in death on March 19, 2013. Jessie worked for Grand Haven Public Schools as a Title 1 Aid for more than 20 years. She enjoyed baking for her family, playing cards, doing crossword puzzles, and sewing; especially cross stitching. She volunteered at Four Pointes Senior Center for many years, and enjoyed her friendships with the people she met there. She and Harold enjoyed camping with the family and traveling to South Carolina during the winter months. She was a member of Harbor Lights Baptist Church of West Olive. Jessie will be lovingly missed by her daughter, Nancy (Tim) Leach of Holland; sons, Kurt Stevens of Houghton, MI, Scott (Elaine) Stevens of Grand Haven, Gary (Debbie) Stevens of Traverse City, MI, and Bob (Sue) Stevens of Holt, MI; nine grandchildren; 10 great-grandchildren; and brother, Larry (Wanda) Cleveringa of Milton, FL. 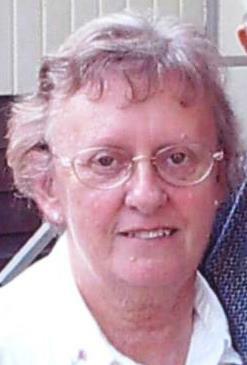 She was preceded in death by her husband; brother, Roger Cleveringa; and sister, Shirley Murphy. The Memorial Service for Jessie will be at 11:00 a.m. on Wednesday, October 24, 2018 at Rose Park Baptist Church in Holland with Pastor Rob Pophal officiating.Visitation will be on Tuesday, October 23, from 6:00-8:00 PM at Klaassen Family Funeral Home, and on Wednesday, one hour prior to the service at church. Interment will be at Lake Forest Cemetery. Memorial contributions may be made to Four Pointes Senior Center.